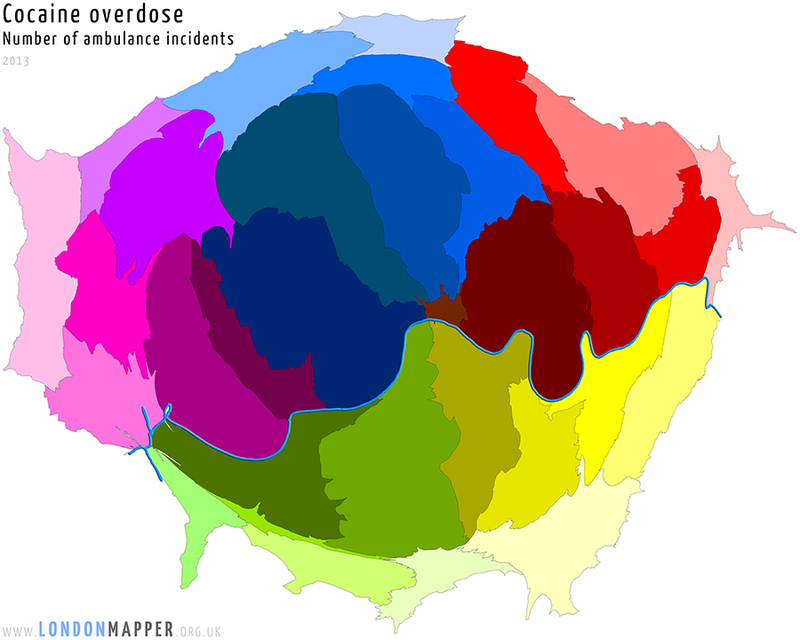 T his map shows the boroughs of London resized according to the total number of ambulance incidents related to cocaine overdose there in 2013. The maps may be used free of charge for non-commercial purposes under a Creative Commons license (CC BY-NC-ND 3.0). Any commercial use requires a permission.